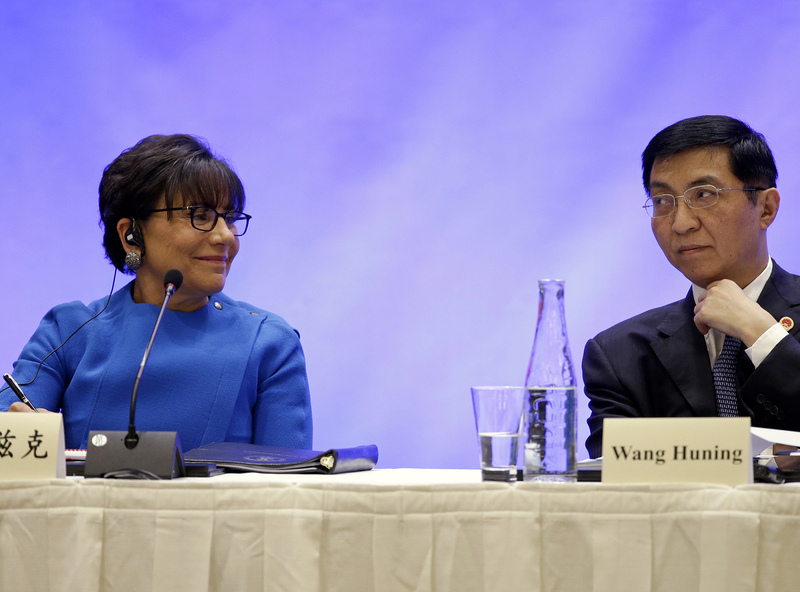 Penny Pritzker (Left), then U.S. Commerce Secretary, and Wang Huning, then member of the Politburo of the Communist Party of China, listen as President Xi Jinping speaks at a U.S.-China business roundtable comprised of U.S. and Chinese CEOs in Seattle, Washington, September 23, 2015. As the chief commercial advocate for U.S. businesses in policymaking, the Department of Commerce plays a crucial role in the U.S.-China trade and economic relationship. In the 99th episode of the China in the World Podcast, Paul Haenle spoke with Penny Pritzker, the U.S. Secretary of Commerce under the Obama administration and founder and Chairman of PSP Capital, to discuss how the Department of Commerce impacts U.S. foreign policy. The economic presence of the United States and partnerships are a pillar of U.S. commercial policy abroad, Pritzer says, and walking away from the Trans-Pacific Partnership hurt U.S. economic and trade leverage in the Asia-Pacific that would have benefited the United States and the region at large. U.S. engagement in multilateral trade agreements are as important for the United States as participation in institutions such as the World Bank and International Monetary Fund, Pritzker says. She discusses her role in reforming the U.S.-China Joint Commission on Commerce and Trade to facilitate conversations on how to resolve challenging commercial issues in the U.S.-China relationship, such as excess capacity and market access. Transformations brought about by automation, technology, and artificial intelligence are one of the defining issues of the 21st century, Pritzker argues, and provide opportunities for the United States and China to work together and build institutions that ensure they can adapt to the rapid developments brought about by these changes.